CFO’s Think Stocks Overvalued … Economic V Fundamental Disconnect ? Last week we mentioned (here) that global executives across the board were more optimistic on their respective economies, especially overseas. We remind ourselves again that economic growth DOES NOT necessarily mean capital market growth. 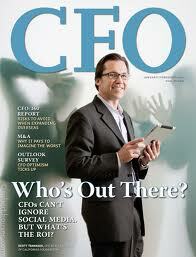 In this September 2013 Duke/CFO global Survey, 41% of CFO’s feel the equity markets are overvalued. We like the depth of this report as it measures a whopping 530 companies. Echoing the afore-mentioned global executive survey, they all believe growth is getting better, AND they are more optimistic about spending and their company specific situation. Much of our writings are to clarify and remind everyone, including ourselves, that capital markets can disconnect from fundamentals … for a while. Eventually good economic growth MAY not lead to higher equity markets … time will tell! This entry was posted in Economy, Investing/Financial Planning, Market Comments and tagged CFO, CFO Magazine, CFO/Duke Survey. Bookmark the permalink.